A fight in a Miami poker room has left a police officer with visible injuries to his face while his assailant is recovering from a gun shot wound. 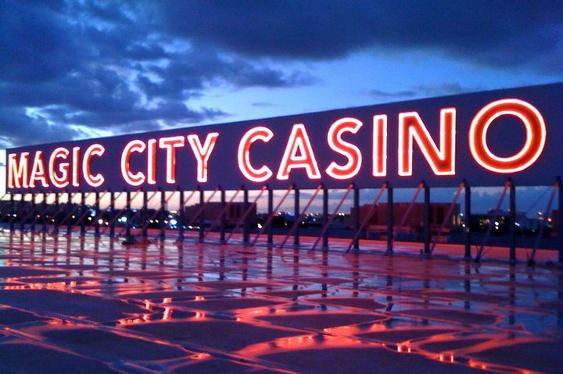 The incident took place at the Magic City Casino earlier this week and started when an as yet unidentified man became aggressive during a game of poker. After refusing to leave when asked by security, the player began to threaten patrons and casino staff, which led to the police being called. The man subsequently refused to calm down and began throwing money and insults at the arriving officers before lunging at one and wrestling him to the ground. He then unleashed a barrage of strikes and cut the policeman’s face with an unidentified object. Fearing for their safety and that of the public, the police then shot the man before subduing him on the ground. Both the injured policeman and his attacker were taken to a local hospital where the officer was later discharged while his assailant was rushed into surgery. No official statement has yet been released but it's understood that the man is in a stable condition and is due to be charged at a later date.